We are asking EVERYONE to pitch in and bring a toy! Bring more than one! We will have a raffle for the people who bring the most. ALL TOYS AND PROCEEDS FROM THE SHOW ARE GOING TO FAMILIES IN NEED OF CHRISTMAS ASSISTANCE. WE WILL BE POSTING INFO ON THE SHELTERS WE ARE DONATING TO THROUGHOUT THE WEEKS. LETS COME TOGETHER AND TRY AND DO SOMETHING AWESOME FOR THE PEOPLE WHO NEED IT MOST IN OUR COMMUNITY. Includes 50+ emcees and collectives, tons of DJs and Producers, exclusive merchandise from vendors and sponsors, and MUCH MORE! Stay tuned for more details as they are announced...plus I heard there will be a very special guest headliner...shhhh. You must pick up OR purchase tickets at check-in on the day of the event (location TBD) - BEFORE GOING TO ANY OF THE OTHER VENUES! All artists, promo tickets, press, volunteers, etc. must also check in before going anywhere else. Wristbands are required at all venues except Thunderbird and Fountain Square Plaza (outdoors). Hi-Fi, Pioneer, White Rabbit, and Thunderbird are 21+ ONLY. You will not be permitted to enter these venues if you are under 21. All other venues are open to all ages, and music will kick off at 2 PM! 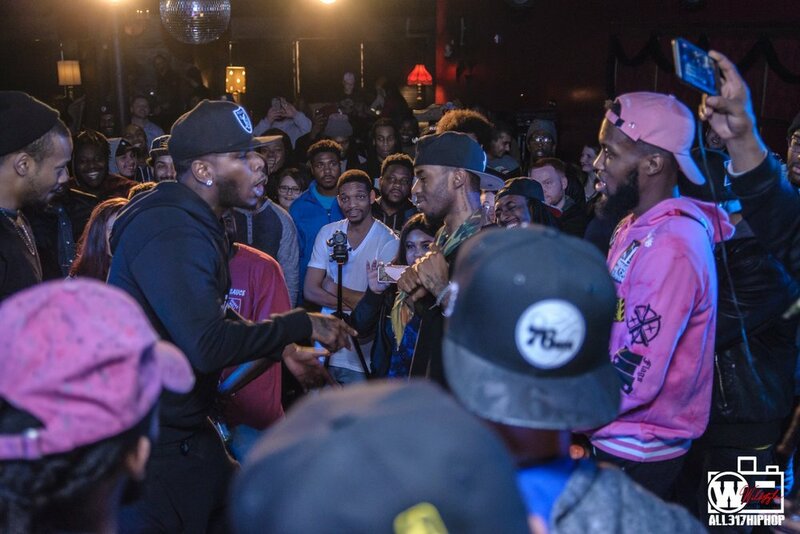 The 4th installment of the Circle City Battle League is here! 4 battles with a live performance by Jeremiah Stokes.